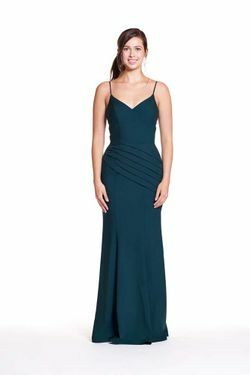 Bary Jay bridesmaid dress style 1836 - Gathered sweetheart bodice with spaghetti straps. A-line skirt with pockets. Crinkle Chiffon or Luxe Chiffon material. Shown in Blush.